It can help prisoners feel connected to something larger than themselves. 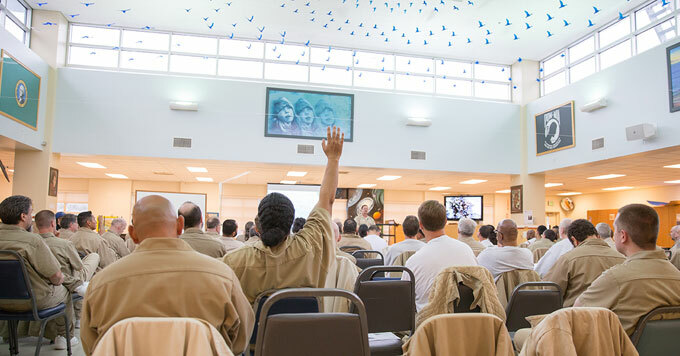 In 2017, nearly a hundred inmates at the Stafford Creek Corrections Center in Washington state learned about climate change threats and disaster resilience. Kelli Bush of Evergreen State College codirects the Sustainability in Prisons Project. The initiative runs environmental education programs at Washington’s 12 state prisons. Prisoners can participate in gardening, composting, beekeeping, and butterfly conservation. And they can take classes that prepare them for environmental jobs when they’re released. Bush says this kind of education can make a difference in people’s lives both behind bars and when they return home.